Spark Lab in Philadelphia is in full swing! Students from across the city have had the opportunity to explore a variety of work environments and interact with employees from a wide range of fields. 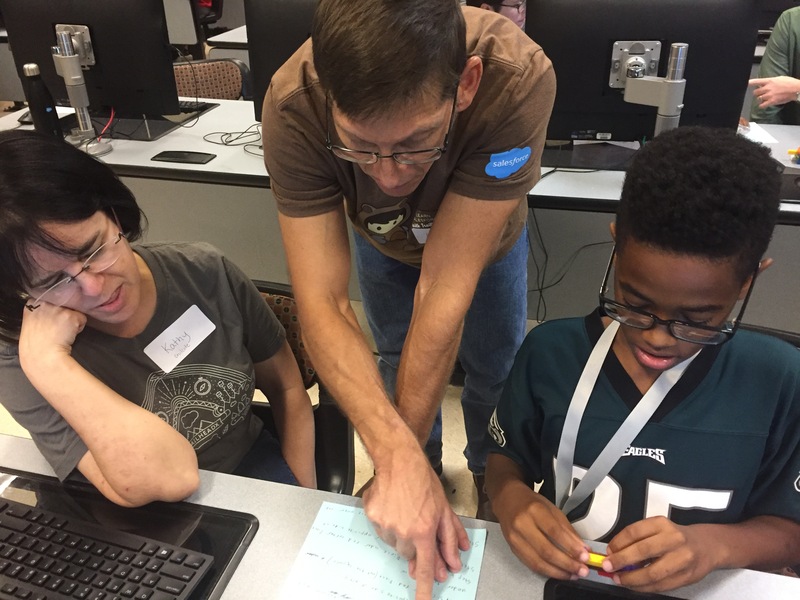 Last month, students from James G. Blaine School traveled to learn about coding and technology with volunteers from the Philadelphia Salesforce community. Students had the opportunity to get to know passionate folks who work with Salesforce for various companies in addition to two Salesforce employee volunteers. Students had the opportunity to build an app using the Salesforce Trailhead platform while building social emotional skills and getting to know professionals.